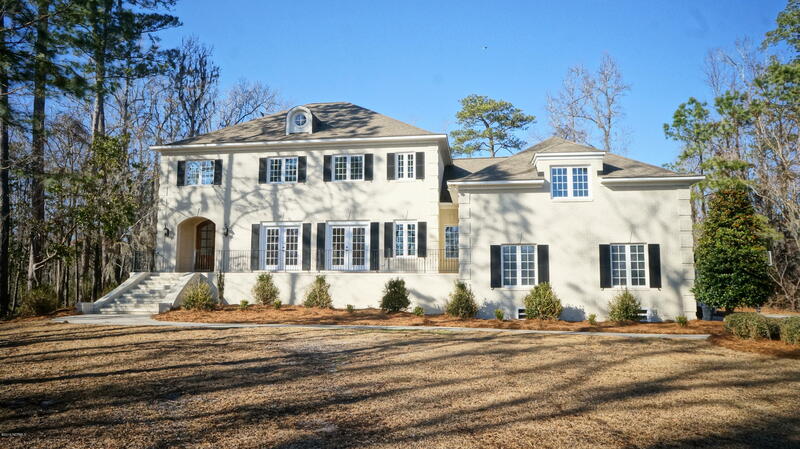 Stellar Home in One of New Bern's Most Upscale Neighborhoods. This Home and Surrounding Homes Are Gorgeous. Nestled into a Cul-de-sac on a Large Lot, you will love the curb appeal of this Custom-Built Brick Beauty. All of the Upscale Features you would expect in an Executive Home. Impressive Front Door is an example of what you can expect inside. Wide-planked Wood Flooring. Curved Staircase in Foyer, Large Living Room, Gourmet Kitchen with Large Built-In Breakfast Area. Formal Dining Room large enough to host big dinner parties. Spacious 1st Floor Master Suite with Enormous Closet and Master Bath. Upstairs Boasts 3 Large Bedroom, 2 Full baths and a Huge Bonus room. New Carpet, New Paint, Updated Landscaping, New Granite Countertops, The List of Updates is Lengthy. Ready for New Owner.